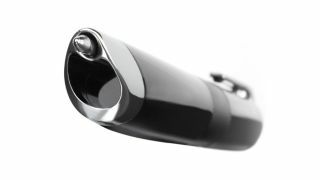 Livescribe has rolled out global Android support for its Livescribe 3 smartpen, ending a two-year wait for users on Google's mobile platform. Previously limited to iOS, the company's Livescribe+ app can now be downloaded from the Google Play Store if you're running Android KitKat 4.4.2 or above. The app works much the same as it does on Apple's devices, allowing users to sync notes written on specially designed notebooks to a mobile device or computer. Livescribe says that it couldn't add compatibility with Android until now due to the OS's lack of support for the battery-sipping Bluetooth 4.0 LE protocol. Speaking to TechRadar, Livescribe CEO Gilles Bouchard said that the company has no plans to develop its own cloud sync platform for written notes, instead relying on services such as Evernote, OneNote, Google Drive and Dropbox. However, the company has also rolled out a second Android app called Livescribe Link, which will manage third-party apps that make use of Livescribe's Android SDK and could open the door to new business-focused handwriting apps on the platform.